Renowned Malayalam actor Jose Prakash, who gave a new face for villain roles, died here on Saturday. Doctors at the private hospital, where Mr. Prakash was admitted on March 18, said that he had been suffering from multiple disorders. The end came at 2.30 p.m. following heart failure. Mr. Prakash entered Malayalam cinema as a singer in 1953. He became a popular actor through the movie 'Bhaktha Kuchela'. 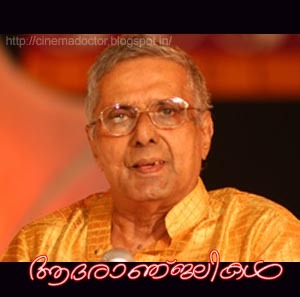 In his career spanning over six decades, Mr. Prakash had acted in over 300 films. 'Traffic', which was penned by his nephews Sanjay and Bobby, was his last movie. The death came a day after the State government selected him for the coveted J. C. Daniel award for his valuable contributions to the film industry and theatre. Nice blogging By Catalog Printing Update more Banner Printing .